I too have a curry leaf plant with me,I empty it when I run out of stock for emergency and the rice sounds great! I love it! So much Information about curry leaves. Really appreciate it.The rice looks so yummy plus it has so much health benefits too. thanks dear. 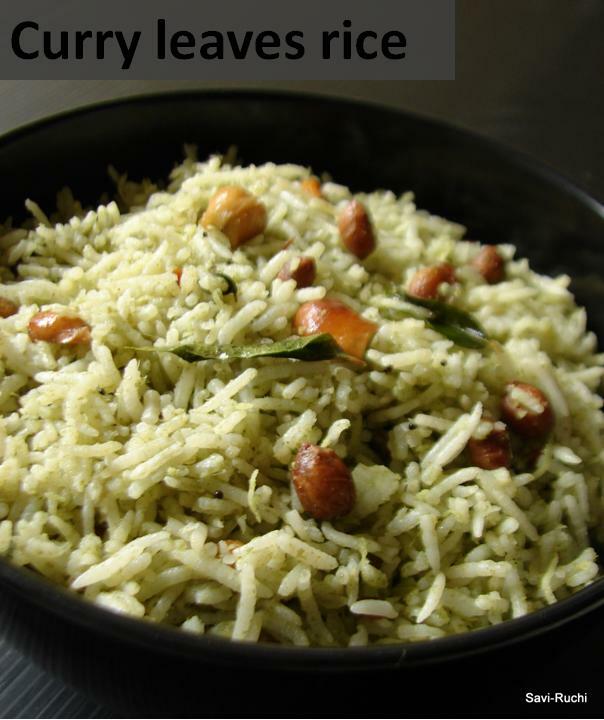 Such a beautiful and gorgeous dish, love it..
wow looks so good, love curry leaves,it gives such a good flavour to any dish..
Rice looks so good, must smell nice there in your kitchen. i love the flavor of curry leaves .. looks very good .. 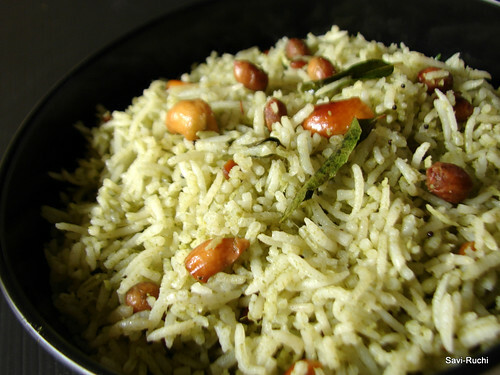 Such helpful info with this fabulous rice dish..Thanks for sharing..
curry leaves- its taste good and have lots of nutritions too.really informative.nice reading about the pros of curry leaves and really ,liked the curry leaves rice. Thanks for the recipe, I will surely try it. Have any of you heard of a chicken dish made with a paste of curry leaves? i have had it once but have no way to get to the recipe. looks so tempting. I can smell the aroma of the dish. 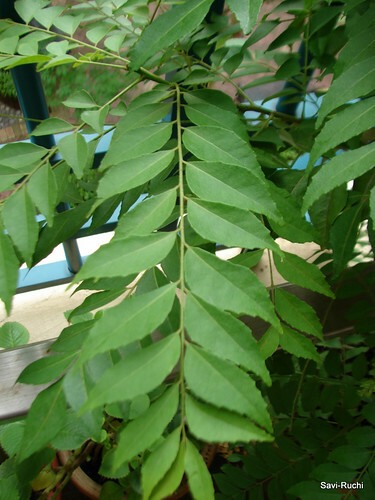 The curry leaves plant looks so good. wow! Nice color ..Yummy rice.! !very inforamative ..Thanks sushma ! Can't Imagine..Kitchen full eshtu fragrance thumbirbahudu alva..!! I eat the curry leaf from Tadka, which is also gud for hair. Very easy n tasty preparation..Love this presentation...very authentic n traditional.